Responsible consumption is an allusive buzz phrase that many corporations have been chasing in order to capture a larger share of a more environmentally conscious market and please organizations that are pressuring big companies to use less plastics and reduce waste. Problem is, there’s been no practical model to eliminate all of the plastics we are purchasing and tossing into landfills. Except when there is. In a classic case of what’s old is new again, one international recycling company, TerraCycle, has teamed up with some of the largest consumer corporations to launch a new shopping system called Loop, which is essentially a remake of the old-fashioned milkman model that delivered fresh milk to your grandmother’s doorstep eras ago. All you had to do was leave the empty container for collection. I have an innate distaste for corporate advocacy of any type, particularly anything that purports to be “global,” but sometimes even the enemy has an idea with merit. The idea for Loop was founded at the World Economic Forum by TerraCycle with industry giants Procter & Gamble, Nestlé, PepsiCo, Unilever, Mars, Petcare, and many other global corporations. Additional partners include Carrefour, with leading British retailer Tesco to pilot the program later in the year. Nestlé will use Loop to enable consumers to responsibly enjoy Häagen-Dazs ice cream and other products in customized, durable packaging that is collected, cleaned, refilled and reused—all from your front door step. Just-in-Time (JIT) delivery systems, have been used since at least the 1980s to control costly storage expenses. In reality, large grocery stores are JIT expenses for big corporations like Procter & Gamble. 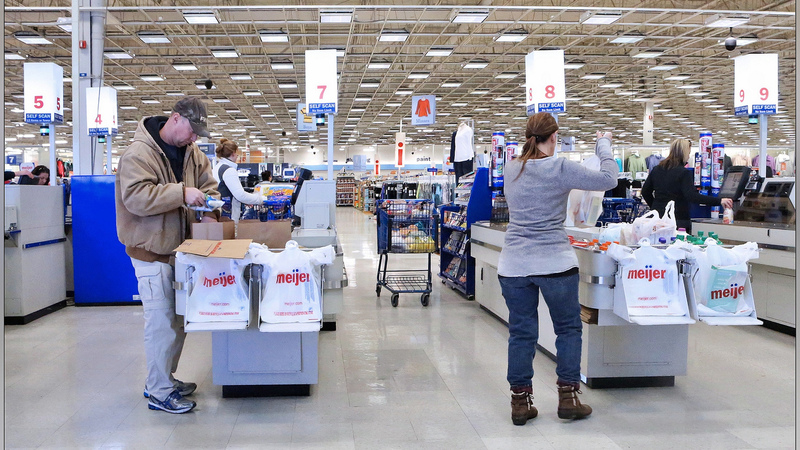 Grocery retailers are little more than storage points for products waiting for a buyer. By selling directly to the consumer, companies will be able to eliminate the middleman. Loop is entering the market for door-based deliveries at a good time. Consumers are already hooked on the convenience of Amazon shopping, but the added bonus of not having to dispose of the packaging while feeling good about reducing your own personal waste is a plus. Entire industries are jumping on board direct-to-buyer systems. Think of the many consumer clubs, such as Blue Apron, that have been rolled out over the last several years. Small producers and entrepreneurs are already bringing recurring purchases like wine and shave products and pet treats and toys straight to the consumer’s door, allowing them to bypass Bezos’ Amazon. Loop is exactly the same concept. It will still rely on consumers to actually sign up, but what makes it different is that consumers will be able to feel good about helping the environment and there will be multiple companies and products to sign up for using just one system, rather than the hassle of signing up for multiple clubs. Shoppers can go to the Loop website or partnering retailer websites and shop for brands they use in redesigned, waste-free packaging. Loop will replenish products as needed and return the refilled shipping totes to the consumer. If there is recoverable used product such as diapers, pads, razors or brush parts, they will be recovered to be reused or recycled. 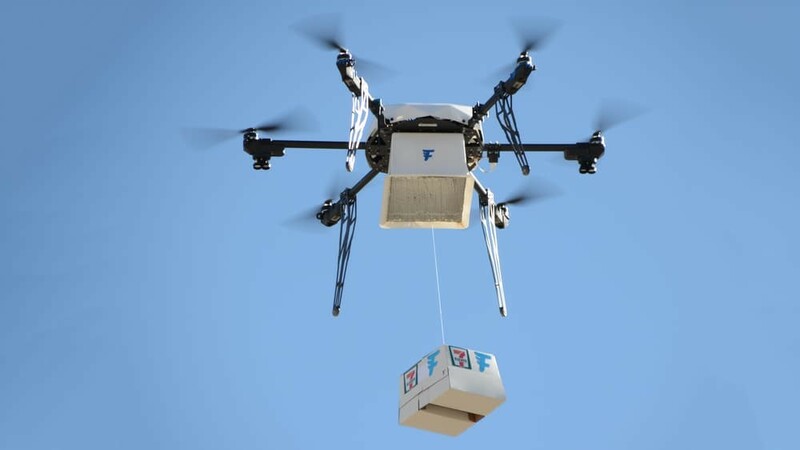 Aviation history was made when convenience store 7-Eleven and Flirtey teamed up to make the first-ever, federally approved autonomous drone delivery trial. But drone delivery services are not without problems. One such problem is what I like to think of as the “creep” factor of drones outfitted with GPS and cameras finding your home and delivering your package. It’s invasive and my privacy warning bell is loudly ringing. However, most consumers appear to be more than willing to ignore privacy issues over convenience and habit, even continuing to use social media platforms they know track their every move in real time and collect and sell their data. Consumers also seen nonplussed using home monitoring security systems and even creepier products like Alexa, which is always listening to household conversations. There is also the creep factor of actual real people you don’t know coming to your doorstep (other than Amazon). 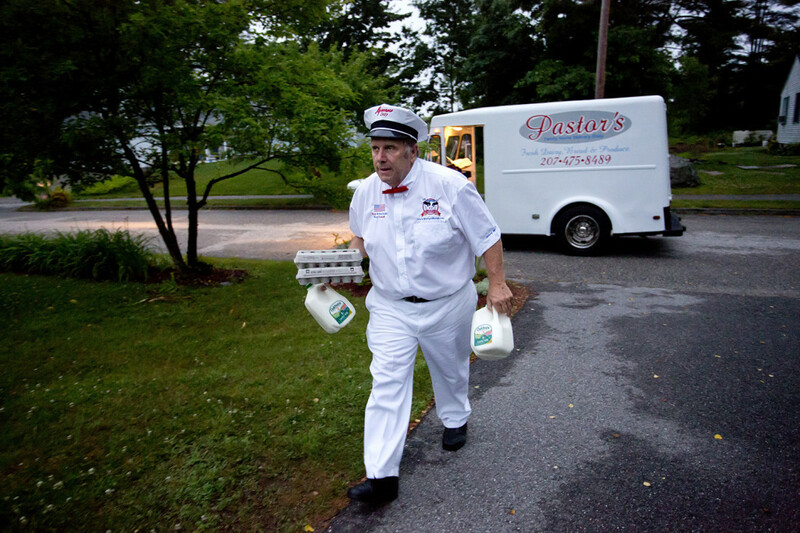 The milkman today may be a lot more dangerous than the one who delivered your grandmother’s milk in the 1950s and 1960s. We don’t often know our own neighbors much less those working in our communities. Self-checkout machines are here to stay. The next revolution will be eliminating the store entirely. But people have become completely desensitized to giving away their personal information. Netflix and other entertainment streamers like Hula, know what you watch and for how long. Amazon keeps a record of everything you purchase, as do credit card companies and banks who track our purchases via debit card. The electronic gods already know who your friends are, what you celebrate, your likes and dislikes and what you watch on YouTube, so Loop, though environmentally friendly, is just another way for corporations to get a little closer to your doorstep and save themselves some money. But does it matter since you’ve already left the front door unlocked?